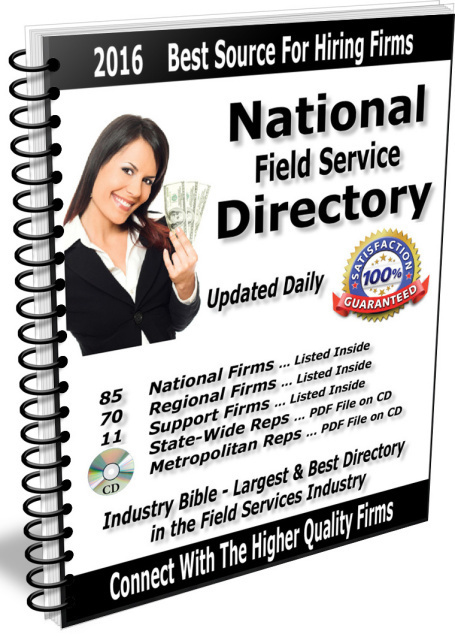 CLICK HERE for a FREE listing in the National Field Service Directory. The first time you are listed in the Directory, we will shotgun your contact information out to about fifty national field service firms that hire field service representatives in all 50 states. The National Field Services Directory is your opportunity window to the field services industry. Order a copy for your desktop at the SOFI Online Store.